As the tanks rolled down the streets of Harare this week, Congolese social media lit up. 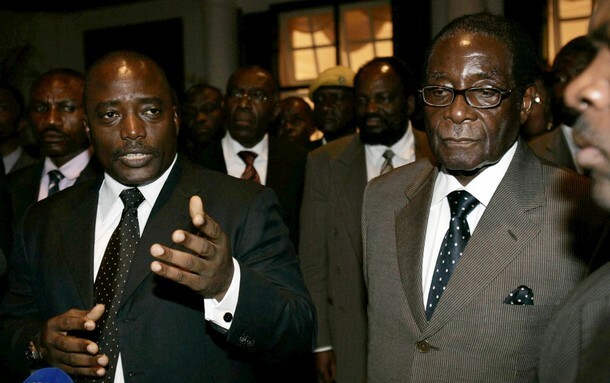 President Kabila was rumored to be panicking to see one of his stalwart allies depart. Congolese and foreign observers hoped that Mugabe departure could somehow provide inspiration for Kabila to leave, as well. But why would Kabila panic? How how would inspiration be channeled in the Congolese context? I have my doubts. First, Mugabe’s ouster does not necessarily mean that his successor will spell a sudden in diplomatic support. Mugabe did provide critical military support to Laurent Kabila’s government in 1998, when Rwandan troops were at the doorstep of Kinshasa. 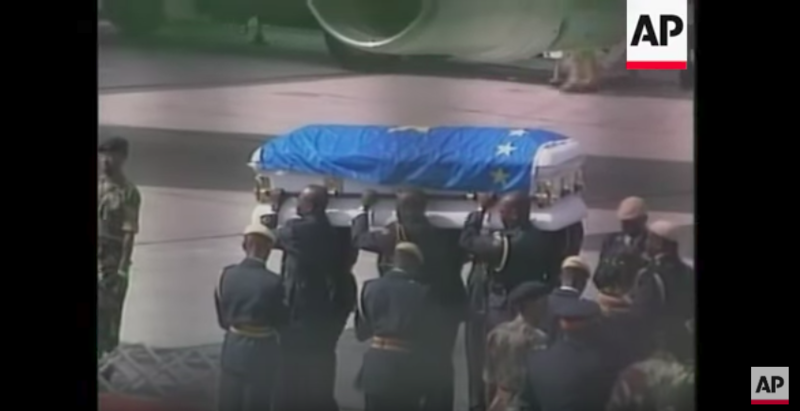 Relations between the two countries were so close that it was to Harare that Mzee Kabila’s dead body was evacuated in January 2001 as officials on both sides pretended that the current president’s father was still alive. And Zimbabwe was heavily invested in the Congo during the 1998-2001 period, as Zimbabwe spent somewhere between $260 million and $1 billion on military support to Kinshasa. The support was at least in part self-interested the ZANU-PF hoped to obtain lucrative mining and timber contracts in the Congo. But those close ties have since weakened. In 2000, the Zimbabwean economy slipped into crisis around the same time as the ZANU-PF’s political dominance was being challenged by the MDC opposition. The Zimbabwean Defense Forces dramatically scaled down their involvement in the Congo, and most of their economic investments fizzled out. While there have been persistent reports that President Kabila’s bodyguard includes Zimbabweans, and while Zimbabwe can provide reliable diplomatic support in SADC meetings and other regional forait can hardly be said that Mugabe is a key pillar for presidential power in the Congo. Moreover, if it is indeed former Vice-President Emmerson Mnangagwa who is gearing up to become the next president, it hardly spells much change in terms of Zimbabwe’s relations to the Congo. Mnangagwa was deeply involved in the Zimbabwean military support to the Congo, helping to create Operation Sovereign Legitimacy (Osleg), the military-economic partnership between the two countries. But perhaps this could be an inspiration to Congolese, a sort of blueprint for their way out of their political problems? Zimbabwe is certainly not the Congo, and the ZDF is not the FARDC. Despite its patronage machinery––the ZDF has been deeply involved in diamond mining, as well as in weapons manufacturing––it is a force still steeped in its liberation history, a much more cohesive and ideological body than the FARDC, which is a patchwork of chains of commands and networks. Kabila has kept his forces factionalized and mostly deployed in the East, coup-proofing his hold on power by retaining only a few, loyalist units in Kinshasa. Plus, and most importantly, a de facto military coup––which is what appears to be unfolding, albeit slowly, in Harare––is not the best way out of a political impasse. So perhaps not the best source of inspiration.